Are You Tired of Trying Harder? She’ll always volunteer to teach Sunday School. If a family needs a casserole, she’s on the list to bring one. She’s seen as dependable, organized, and capable. And she likes it that way. But deep inside she struggles. Is her quiet time long enough? Why does it feel like everyone else in her women’s Bible Study is getting more out of it than she is? What more could God want from her? 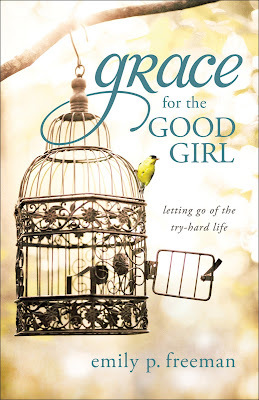 In Grace for the Good Girl (ISBN: 978-0-8007-1984-5, $13.99, September, 272 pages), Emily Freeman invites women to let go of the try-hard life and realize that Christ gives us freedom to receive from God rather than constantly trying to achieve for him. As “good girls,” we focus on the things we can handle, our disciplined lives and our unshakable good moods. When we fail to measure up to our own impossible standards, we hide behind our good girl masks, determined to keep our weakness a secret. With an open hand and a whimsical style, Freeman uncovers the truth about the hiding, encouraging women to move from hiding behind girl-made masks and do-good performances to a life hidden with Christ. First of all.... let me say that I have been waiting for months for the release of this book. When I first saw the preview, I knew it was a book I needed to read. So, to have the chance to review it is a blessing to me. And I was not disappointed. Grace for the Good Girl is an excellent book for all of us who think we have to be 'good enough' to have worth. Living day by day with the purpose of doing everything just right is not what God intended, yet it's easy to fall into the trap of being 'performance' driven. When you come from a life of being a 'good girl' [not perfect or better], you wonder where you get your value from. It's been said that God "turns your mess into your message" and that "for those who are forgiven much, much is required." But what if you haven't dealt with the mess or been 'delivered' miraculously and now have a ministry to tell about it? Where do you fit in? How true that has been in my life. I don't know if I could ever be so honest as to voice my feelings to anyone... let alone write them down for all to see. That takes courage. And thankfully she is courageous enough that the rest of us can benefit and find healing. This is a wonderful book. If you are a people pleaser, have a long to-do list, or think you are impressing others by how busy you are or how hard you work... you need to read this book! Emily Freeman is a writer who loves to read and a speaker who would rather listen. 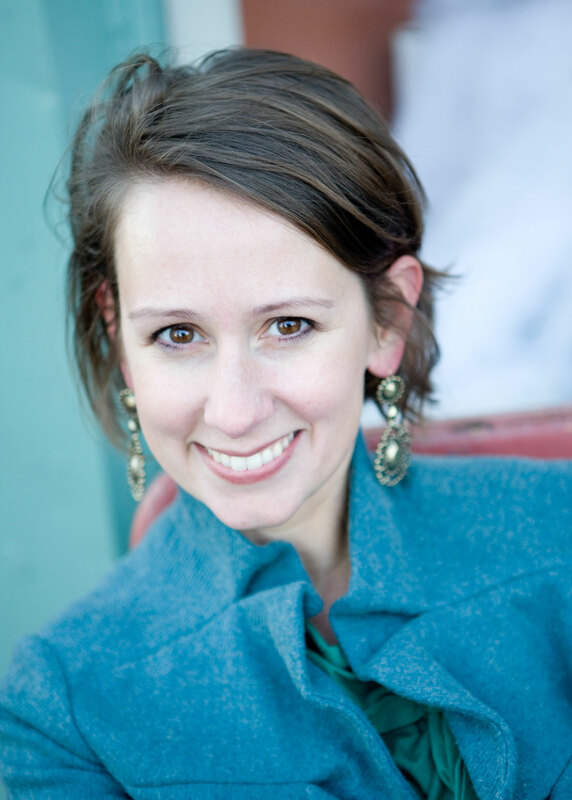 She writes for DaySpring (a division of Hallmark) and has also traveled as a writer with Compassion International to raise awareness for the needs of children in poverty around the world. She received degrees from both Columbia International University and The University of North Carolina Greensboro. She is married to John, a student ministries pastor, and together they live in North Carolina with their three children. Emily extends a daily invitation on her blog for women to create space for their souls to breathe. Come join the community of grace dwellers at www.ChattingAtTheSky.com. Revell, a division of Baker Publishing Group, offers practical books that bring the Christian faith to everyday life. The theme of this book and your post are themes I'm seeing crop up all over Blogersville. Oh how we need to be ourselves; and to be transparent. I'm sure this book will be a blessing to many. Absolutely! It carries a great message... and I hope it will bless many others as it did me.